San Jose, CA – Autumn traditions are in full swing at Santana Row this month with Halloween fun for children, a Hindu festival and a benefit for a local charity to commemorate Breast Cancer Awareness Month. Events include a Halloween family fun fest; Diwali, the Hindu festival of light and “Sip. Strut. Support.” – a fundraiser for Palo Alto-based Breast Cancer Connections. In November, the holidays are ushered in with Santana Row’s annual tree-lighting event, a favorite South Bay tradition for families. Shuttle service continues to all home games at Levi’s Stadium with an added incentive: the price has been lowered to $40 per person! activities for all ages. The entertainment program includes Bollywood dances and dramatic performances depicting the significance of Diwali. Food for purchase will be provided by Amber India restaurant. Festivities will take place in Santana Row Park, located in the center of Santana Row Boulevard, across from Left Bank Brasserie. This event is free and open to the public. For more information, visit SantanaRow.com. Ticket are $40 per person. Buses leave Santana Row approximately two hours before game time and depart the stadium one hour after the game ends. Your ticket includes free parking in a special reserved lot for immediate access to the buses and the round trip to and from the game. Also included: Santana Row shopping and dining specials at select restaurants, such as bottomless mimosas, prix fixe menus, private tailgate pre-parties with cash bar and extended happy hour offerings. When you arrive at Santana Row, park your vehicle in the designated, secured parking lot located off Hatton Street, behind the Levare residential complex. The registration area and buses are in front of CineArts Theatre. Buses will depart at the scheduled time, two hours before kick-off and will not wait for passengers. For more information, check SantanaRow.com or contact the Santana Row concierge office:408.551.4611. Be among the guests at a fashionable evening of shoes, sips and style while supporting a great cause. Breast Cancer Connections is a Palo Alto-based organization that helps support those who have been touched by ovarian and breast cancers. Hotel Valencia is the spot to enjoy live music, light appetizers and special shopping opportunities as well as a raffle—all for a good cause. Complimentary pink-themed beverages, such as sparkling Rose and a specialty cocktail, will be served. Santana Row partners include Kash shoes and Donald J Pliner. Tickets are $15 and can be purchased by calling 408.423.5405. Details: 10 a.m. to noon at Park Valencia. Mommy & Me and Daddies,Too is a free kids club held on the second Tuesday of every month from May through December. For more information, call408.551.4611 or visit SantanaRow.com. Details: 10 a.m. to noon at Park Valencia. Mommy & Me & Daddies, Too is a free kids’ club held on the second Tuesday of every month from May through December. For more information, call408.551.4611 or visit SantanaRow.com. Details: The celebration is scheduled from 3 p.m. to 9 p.m., with tree lighting slated for 7 p.m. in Santana Row Park. More details about the entertainment will be available closer to the event atSantanaRow.com. The annual coat drive begins at 6 a.m. on the day after Thanksgiving with KTVU broadcasting live throughout the day from Santana Row Park. Donate a new or gently used coat and it will be given to a needy family this winter. The first 100 people to donate a coat will receive a $10 Santana Row Gift Card. Drop-off locations include CineArts Theatre, Crate & Barrel, Sur La Table and the Santana Row Concierge. The charity coat drive continues through Dec. 31. For more information call408.551.4611 or visit SantanaRow.com. Details: 10 a.m. to noon at CineArts Theatre. Mommy & Me & Daddies, Too is a free kids’ club held on the second Tuesday of every month from May through December. For more information, call408.551.4611 or visit www.SantanaRow.com. Santana Row, a 647,000 square foot mixed-use development in San Jose, CA, is Silicon Valley’s premier destination for shopping, dining, living and working. 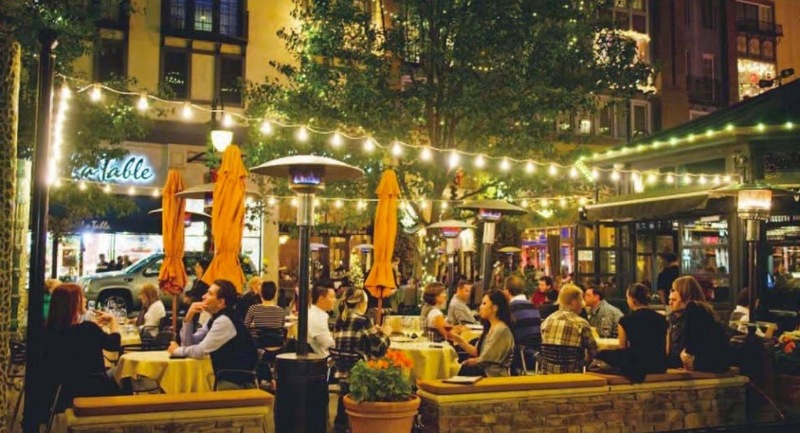 Santana Row features over 70 shops, 20 restaurants, a boutique hotel and movie theatre. In addition to the dynamic retail & restaurant collection, Santana Row offers 615 luxury rental homes, 219 privately owned condos and 65,000 square feet of Class A office space. Santana Row is a property of www.federalrealty.com(NYSE:FRT), headquartered in Rockville, Maryland. For more information, please visitwww.santanarow.com.